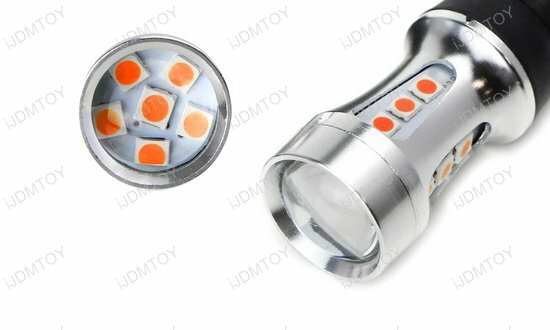 Q: What car will these LED turn signal light bulbs fit in? 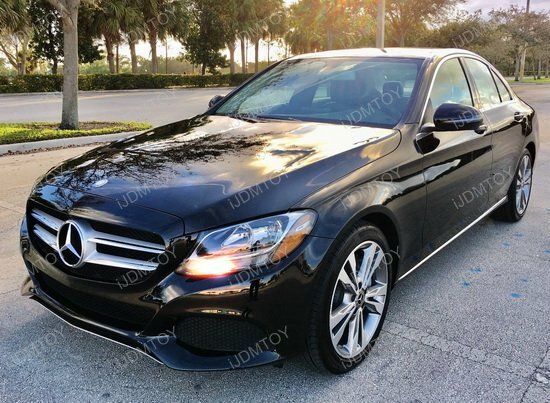 Q: Can I use these LED turn signal bulbs for both my front and rear turn signals? A: No, you can only replace either your front or rear turn signal light bulbs. Replacing both the front and rear together will result in hyper flashing despite the LED bulbs being equipped with a CANbus controller. 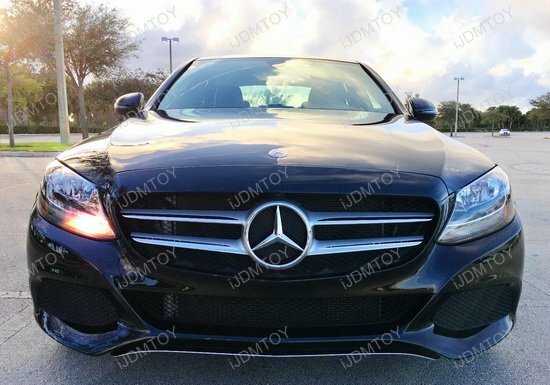 Q: Can I use these LED bulbs for other purposes like driving lights or daytime running lights? A: No, these amber LED light bulbs are made to only properly function as turn signal lights. Inside each bulb is a protection IC system built in so the LED bulb cannot run for any longer than 8 minutes. Q: Why does the IC timer shut off the LED light after 4 seconds? A: The IC timer is built in so that this LED light bulb is exclusively used for turn signals. Additionally, turn signals flash at a rate of 0.8 seconds per flash, which resets the IC timer. These mechanics retain the LED's longevity. Q: Are these LED turn signal light bulbs error free? A: While these amber LED turn signal bulbs will not hyper flash, they may still cause error messages to pop up in European cars' dashboard computer. Q: What are CAN-bus Error Free LED bulbs? For a supreme look turning in any direction, look to the extremely bright amber CANbus LED turn signal light bulbs! 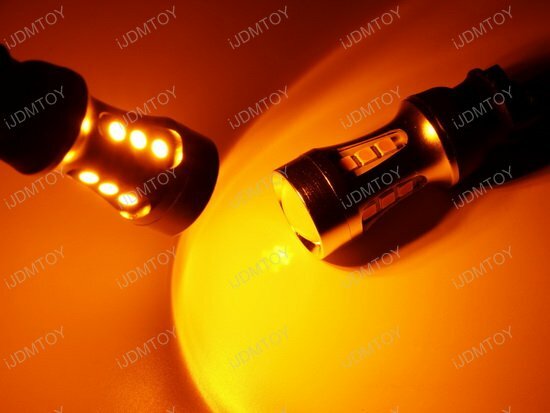 This is a pair of LED turn signal light bulbs specially made for the Mercedes-Benz. 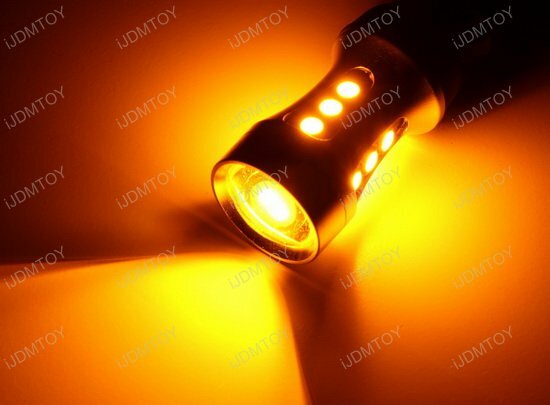 Each CANbus LED bulb is powered by 18 pieces of 0.5W high powered amber 3030-SMD LED emitters, which make for a bold and vibrant turn signal yellow light that is twice as bright as your stock incandescent turn signals! 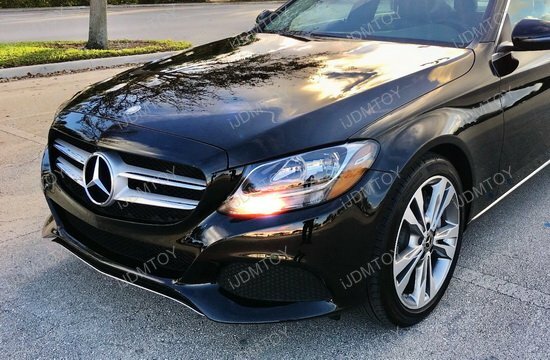 The pair of turn signal LEDs is error-free, so no bulb-out warnings will show up in your Mercedes' onboard computer. 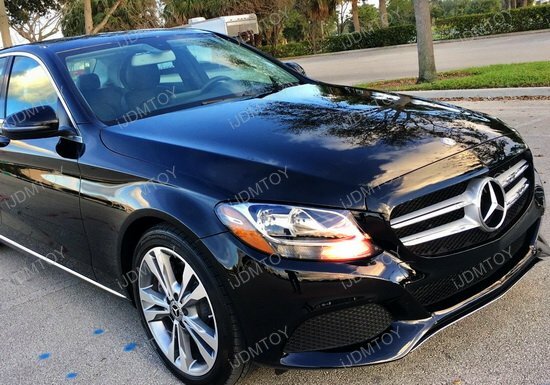 Please note however that while you start your car, the LED bulbs will flash or strobe a few times due to the onboard computer scan, which is a normal occurrence. Please note that this pair of CANbus LED turn signal light bulbs will only fit in halogen headlight trims of the models listed above.